In an uncertain world, where rocketing demand is putting a strain on power supplies, you need the total confidence in your back-up power that Dale Power E-Series UPS provides. Select from their standard range of UPS and generators, or their secure power projects providing your ideal standby power solution. 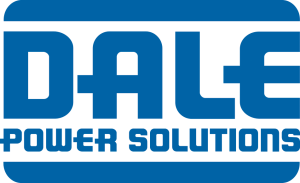 Dale’s integrated UPS and generator solutions provide ‘no-break’ power, saving you from costly outages and downtime. They deliver flexible, innovative and cost effective secure power solutions, service and maintenance and manage the complete lifecycle of your equipment. Operating lean and efficient 6 Sigma designed working practices, Dale ensure that your exact requirements are met – from design to a finished product of the highest quality and reliability. All systems are built and tested, including customer witness testing, under the highest levels of quality control. Features include internal failsafe bypass, extended run times, and high input power factor. With maximum reliability and power availability you can connect several units in parallel. The E Series has multi-language touch screen displays, remote monitoring, an advanced IGBT rectifier, back-feed protection and is configurable for redundancy. The outstanding E series uses double conversion technology (VFI) with the UPS load powered continuously by the inverter. This guarantees that the critical UPS load receives a stable, clean, regulated sinusoidal power supply. Your system is in expert hands. Project managers work with you to plan, control and co-ordinate everything from order placement, design and manufacture to installation. Our engineers join you on site to install and commission your equipment. A modular approach to system design includes hot-swappable modules ensuring maximum up time. Your power solution lifecycle is totally flexible with ease of maintenance and expandability. As your power requirement grows so can your power solution, guaranteeing continued reliability. Safe removal and insertion of the UPS modules ensure no risk to the critical load. Dale Power systems are designed and manufactured using the minimum amount of resources, can be upgraded or refurbished to reduce material consumption and extend product life, and can be safely recycled, avoiding the need for system disposal. The E Series is designed with selectable ECO-mode, guaranteeing high operation efficiency. Outstanding service and maintenance support is backed by more than 77 years’ experience, a worldwide team of service personnel, access to a comprehensive parts and spares archive and 24/7 expert help available.